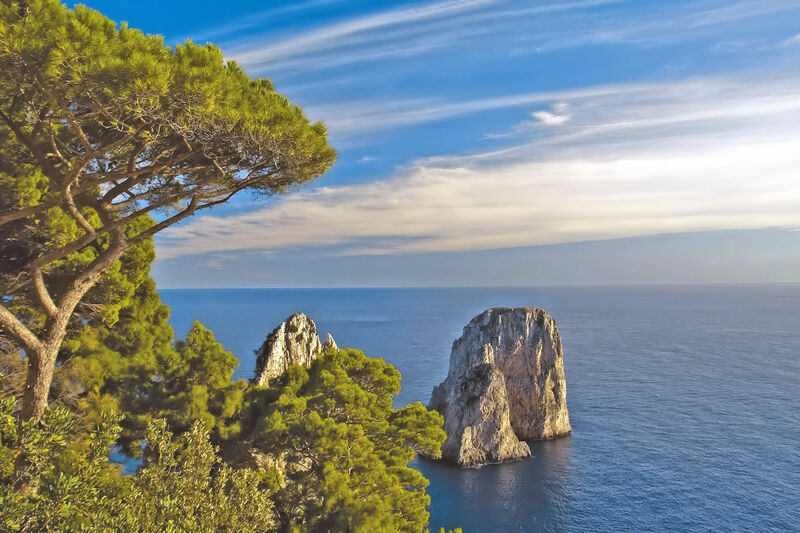 Actor’s and A-Listers such as Meghan Markle, are drawn to Capri’s fabled beauty and sophisticated hedonism. Sophia Loren sunglasses are de riguer on an island which is the distilled essence of the Mediterranean; glittering seas, stunning bougainvillea and grand, grand villas. There’s also an unspoiled, sun-bleached, peeling-stucco charm to discover beyond the tourist hotspots. 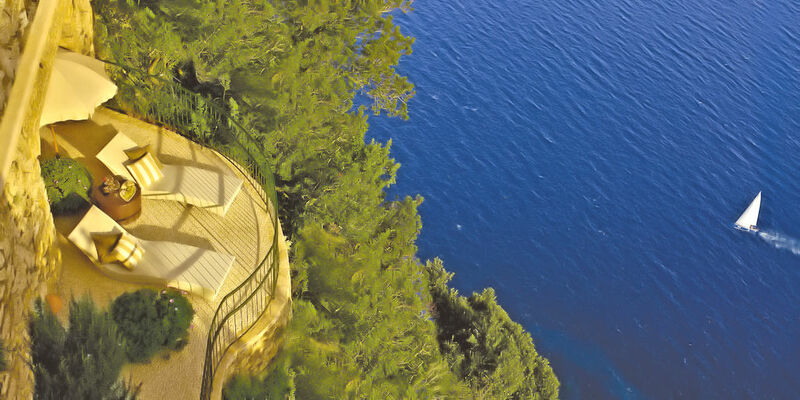 Perched high on a cliff edge, in a fabulous position 300m above the sea, this distinguished Relais & Chateaux hotel boats one of the most incredible vistas of the island. 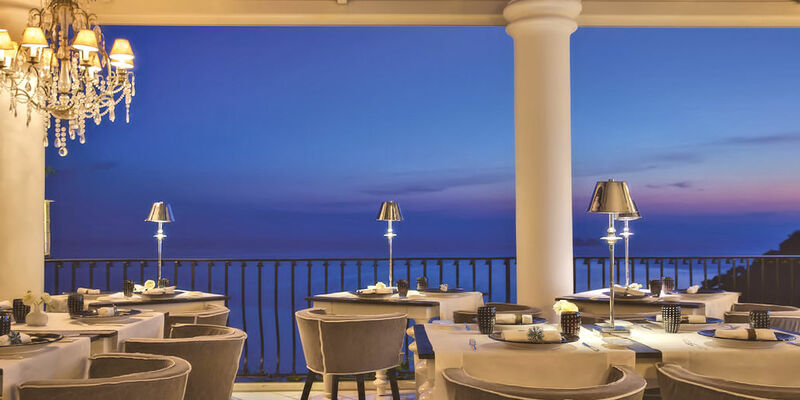 Set on the quieter western side of Capri, in the exclusive hillside town of Anacapri, the luxurious Capri Palace has exceptionally high levels of service and magnification views over the bay of Naples. 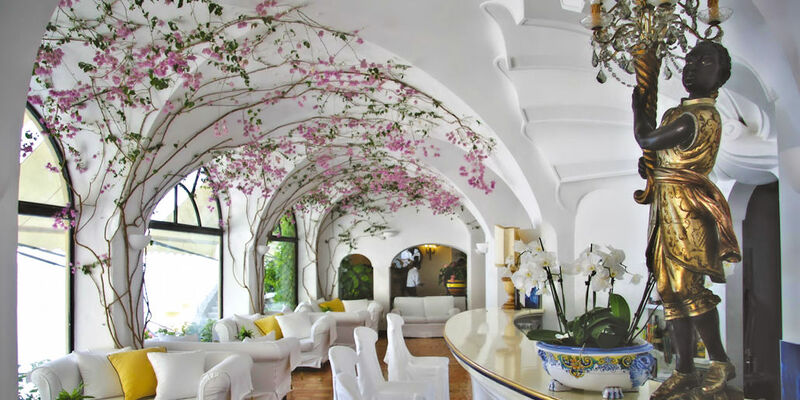 Set above extensive gardens just above the Marina Grande, the delightful boutique style Villa Marina Capri Hotel & Spa offers impeccable service, stylish surrounding and the ambiance of an early 20th century home. Probably one of the most exclusive European holiday destinations, and often confused with the equally lovely Portofino, fashion runs deep in Positano; the first Italian resort to import the bikini from France, and the Milanese fashionistas are fans of the boutiques in this the most photogenic of the Amalfi Coast’s enclaves. Vertiginous, wisteria-draped pastel coloured houses frame sunbathers eating pizza and ice-cream on the beach. Candy coloured Vespas and convertible Fiat 500s complete the picture of this Italian Idyll. 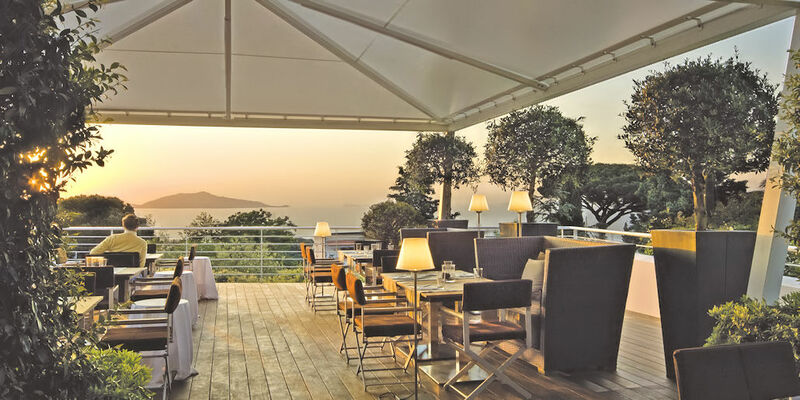 Enjoying the most striking of locations 200m above the sea, and literally cascading fown a series of cliff-side terraces, Le Agavi Hotel a Positano owns magnificent views and an oasis of peace and tranquility high above the bay. 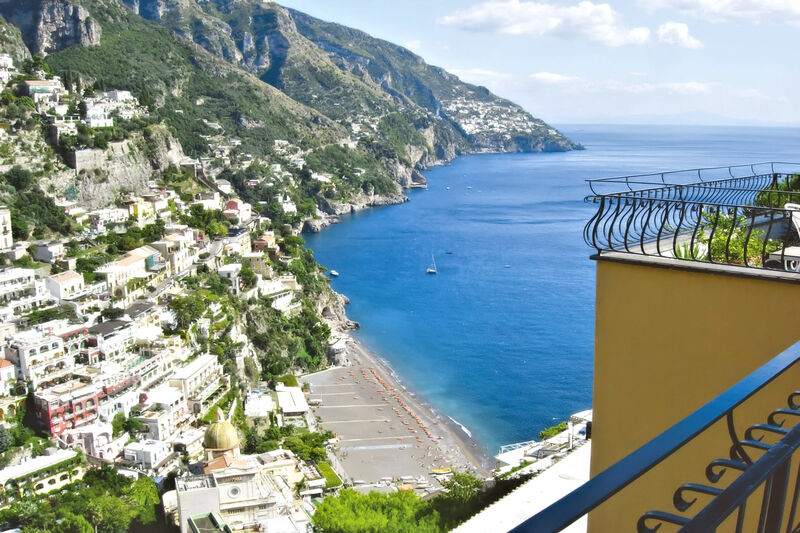 Originally a private villa, this delightful hotel is set high above Positano with stunning views over the picturesque town. 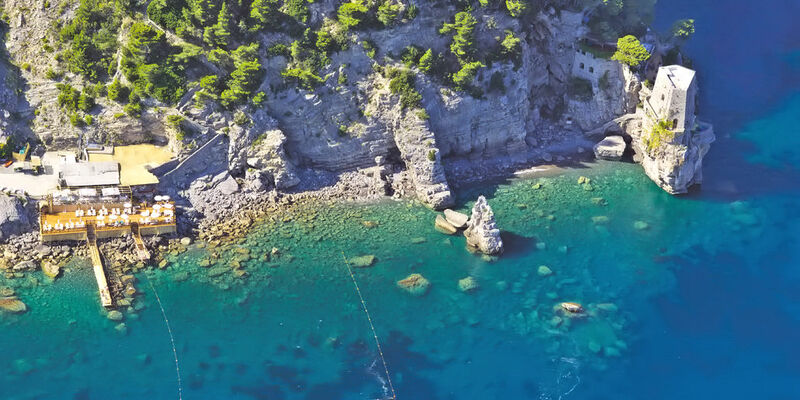 Built into the rocky hillside and situated right beside the beach, the delightful Covo Dei Saraceni enoys spendid vistas of Positano and the Mediterranean Sea. 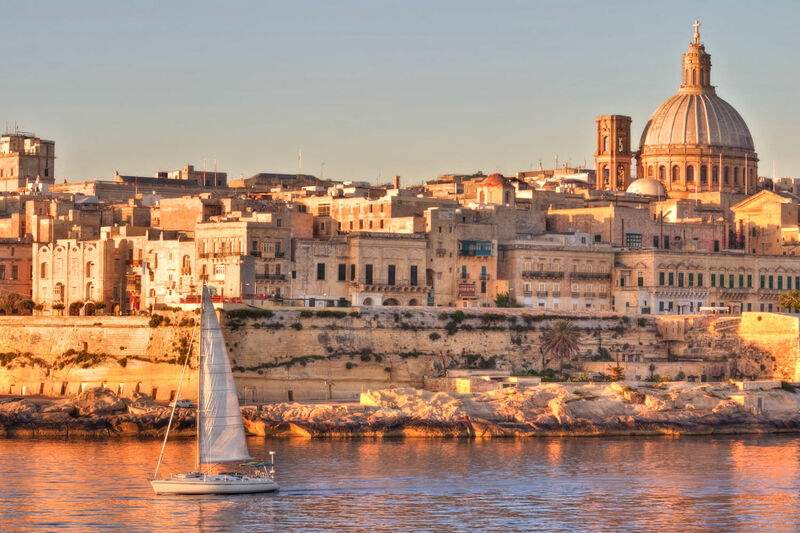 Honey-coloured Baroque architecture creates a truly romantic first impression of Malta’s stunning capital Valletta. Quaint, cosy bars adorn each street corner and there’s a treasure trove of priceless works of art to discover. 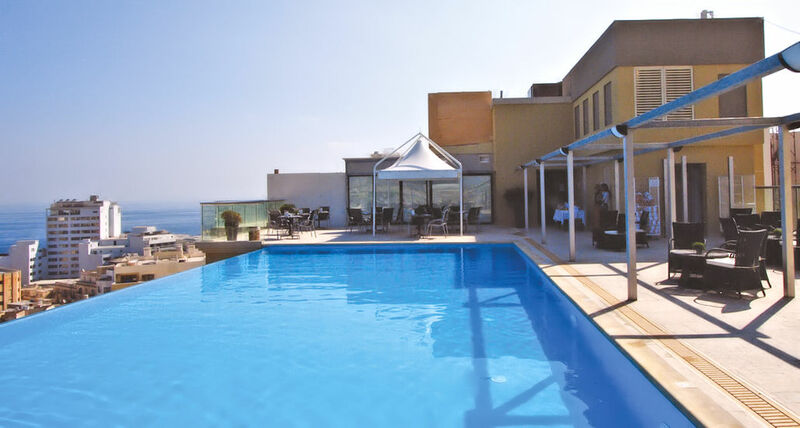 Savour the views from the medieval hilltop towns, dive into the waters of sparkling clarity in Gozo and enjoy the welcoming charm of this sunny island in the heart of the Mediterranean. 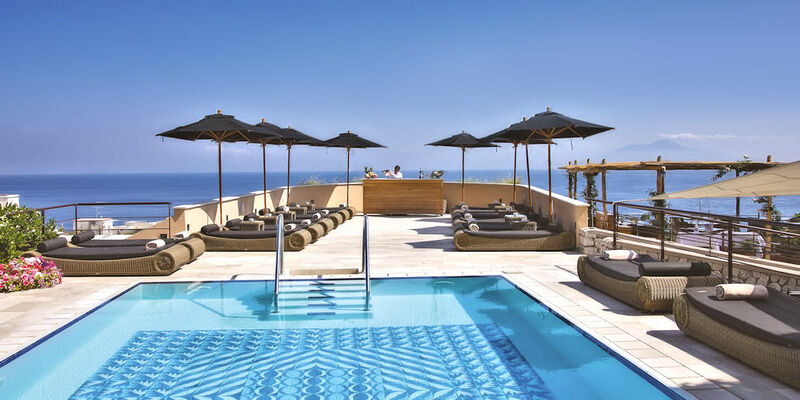 The Westin Dragonara Resort is perfectly located on a private peninsula, giving its guests direct access to the sea via the swimming pool area. 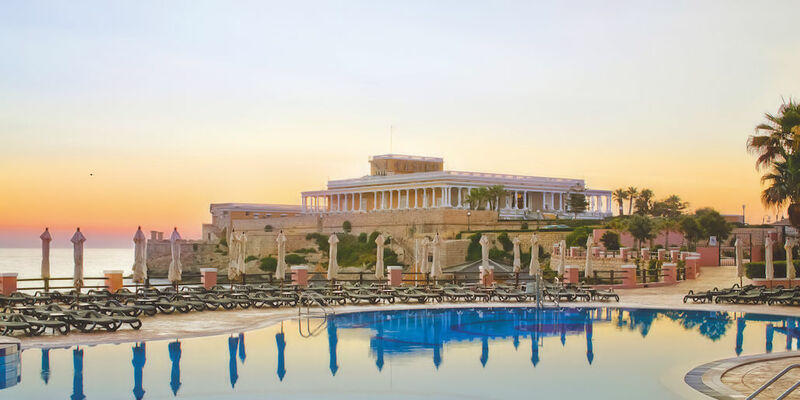 The Xara Relais & Chateaux hotel is perched on ancient bastions within the original walls of a 17th century Palazzo and surrounded by stunning baroque architecture in Malta’s former Capital; the silent medieval walled city of Mdina. 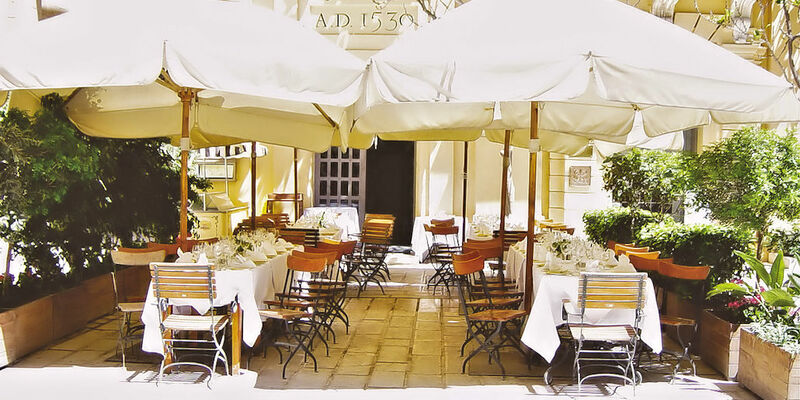 Stunning contemporary decor and old-fashioned elegance combine in one of Malta’s most sought after five star hotels. 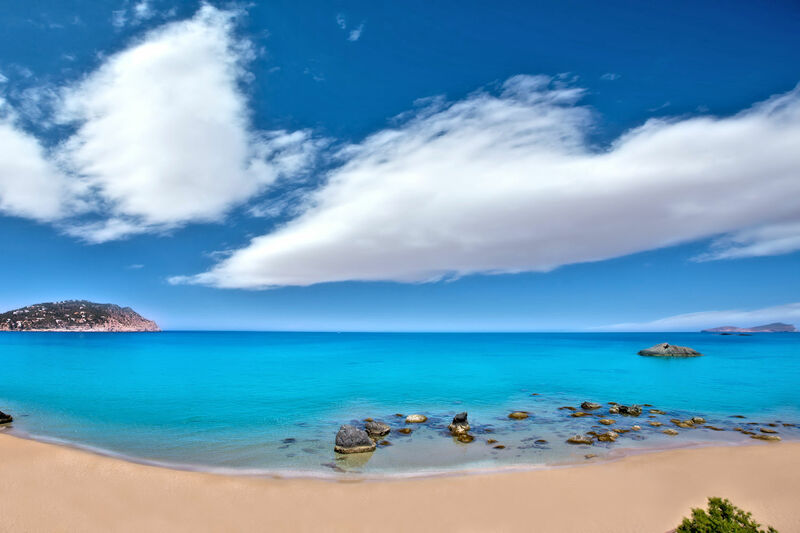 Boho beach lovers, style ambassadors and music fans tend to headline in Ibiza in the summer. But far from the clubbing crowd, there’s a more rural way of life to discover with sun kissed beaches, pine-clad groves and secluded coves. Don’t overlook Ibiza Town’s World Heritage status adding history and heritage to a holiday here. 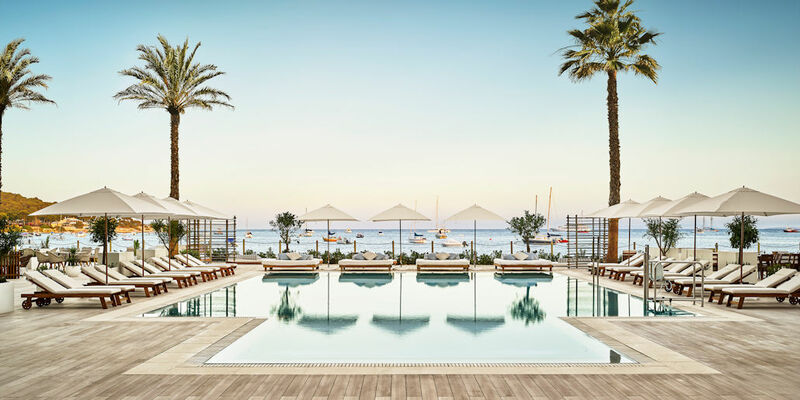 Right on the shores of peaceful Playa de Talamanca, the new Nobu Hotel Ibiza Bay is within a five minute drive of Ibiza Town and offers a sophisticated, laid-back ambiance. 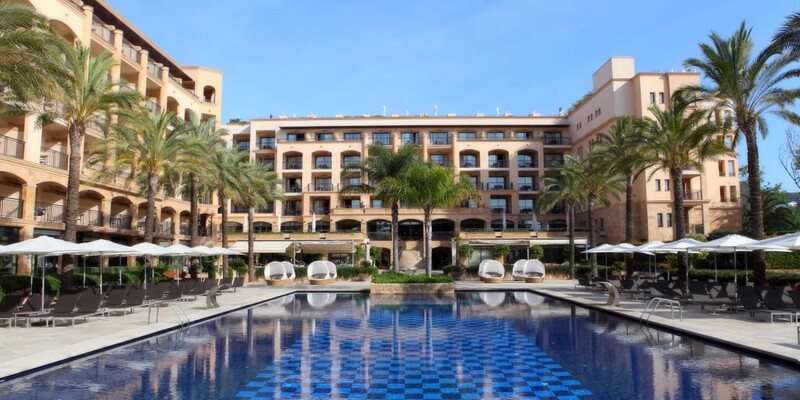 On the banks of the Santa Eulalia River and with the beach a short five minute stroll away, the five star Insotel Fencia Prestigue Suites & Spa has an enviable setting, ideal for those in search of peace and quiet. 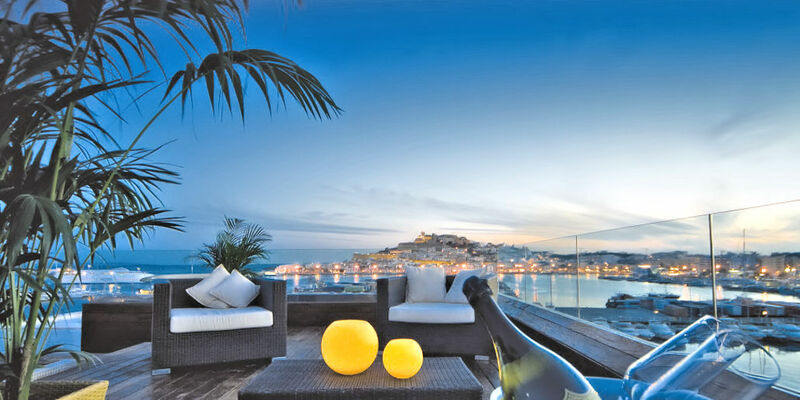 The exclusive all-suite Ibiza Gran Hotel overlooks the harbour, close to Marina Botafoch and just 500m from Talamanca beach and 1km from Ibiza town centre.